Chinyere was a finalist at Project Fame few years back, one of West Africa’s Biggest Talent Hunt Reality TV shows. Chinyere expresses herself well enough and her biggest asset is her vocal prowess. Away from the success of 'Imarama' released in 2014, the amazing singer has released 'GOD CAN' a brand new inspiring single to announce her graduation from the University of Benin as a Linguist. 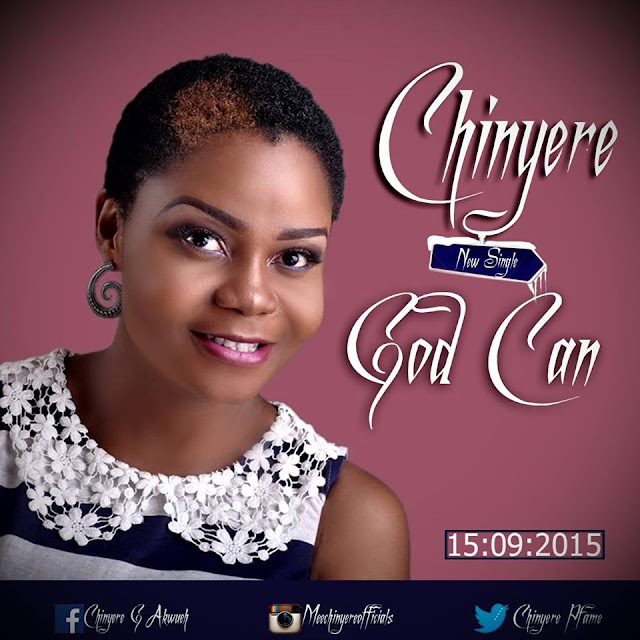 ''GOD CAN'' is Chinyere's way of expressing her gratitude to God for His unfailing love and promises. She assures her fans that God can do anything, anytime for anybody. The song is produced by the prolific Johnny Drille.